Whether prepping apples for a pie, crisp, or tart, or looking for a quick, healthy snack for a hungry child, coring an apple can be a messy, even risky task. Most apple corers are not sharp enough or require the dexterity of an octopus to use, leaving a mangled apple and messy, sticky hands. 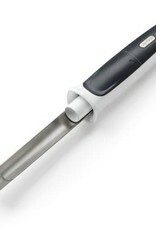 But the clever Zyliss Twist 'n Push Apple Corer does the work quickly and easily while keeping mess to a minimum. 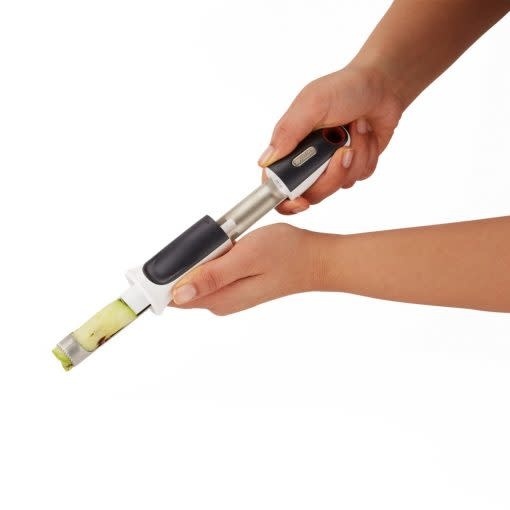 Simply push the corer into the fruit, twist, and pull the core up for easy core removal. 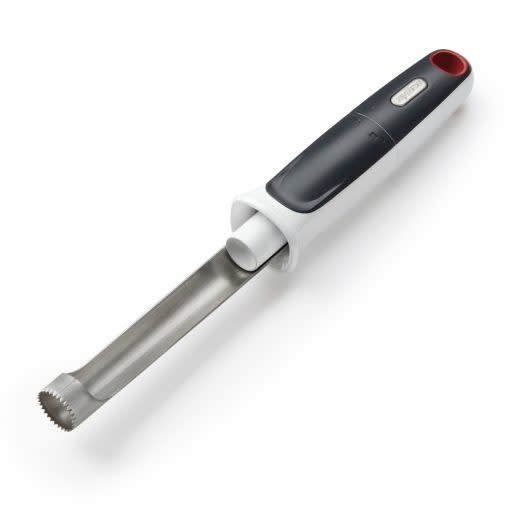 To cleanly dispose of the removed core, twist, and push down on the handle to pop the core out of corer and into the trash bin.